Brea towing is always striving to do whats best for the customer. Brea towing is a family business, spanning two generations serving Southern California residents and AAA members for over 20 years as a premier emergency roadside service provider. Brea Towing is a family oriented company that has been treating its employees, customers, and AAA members like family since day one. Brea Towing is continuously looking at ways to improve policies, procedures and our day-to-day processes to be more efficient for customers while adhering to strict ethical business principles. Brea towing deploys an increasingly growing fleet of vehicles, state-of-the-art equipment, and cutting edge technology. 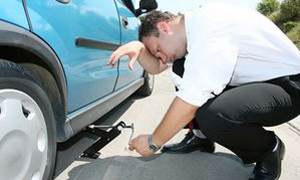 With courteous, dependable and professional technicians to provide premier Battery, Emergency Roadside and Towing services it is no wonder why Brea towing continues to provide excellent around the clock service, ensuring that its customers and AAA members are always totally satisfied. Brea towing leadership has a combined 100 years management experience in the industry.